SOCKS5 Proxy vs VPN - What's the Difference? Which Should You Use? Most of us know the privacy dangers that exist online. Given the vastly increasing number of internet users (3.4 billion and growing, according to Internet Live Stats) as well as the increase in public wifi hotspots (423 million according to FierceWireless), it should come as no surprise that internet security is a growing concern. Just look at how important internet security has become in the 2016 presidential election cycle. Unsecured email servers. Leaked documents. Private conversations released to the public for all the world to see. The simple truth is, as long you’re using the internet, you’re vulnerable. Unless, of course, you’re using highly secured network access or you’re accessing websites and data online through secured encryption methods. Some aspects to online encryption and data security are taken care of for you. That’s because most websites have a vested interest in preventing hackers from grabbing your data. Data breaches are a growing problem and an extremely expensive one at that. Yahoo is currently in the midst of playing the damage control game after 500 million accounts were stolen. With the average cost of a data breach now somewhere along the lines of $4 million, or around $154 to $158 per account, Yahoo could be looking at data breach with a potential cost to the company in the billions of dollars. Ouch. Here’s to hoping they purchased a good cyber liability insurance policy. Even Google uses encryption methods for its search engine. But don’t be fooled. Although HTTPS encryption is far more secure than the encryption-lacking HTTP protocol, it’s far from an end-all security method. Anyone snooping in on your online activity or the website’s servers can still see what you’re viewing and steal data or your identity. On a similar note, as wonderful as HTTPS encryption is, it does not hide your location. Someone can still identify who you are through your IP address, and connect that to publically available information. HTTPS is a good, secure method to help ensure your data isn’t stolen during the transfer process, but it’s not securing your identity online and it’s not keeping your data wholly private. Virtual private networks (VPNs) are perhaps the most common method for securely connecting, downloading, and surfing online. All computers that use internet connections are part of a larger, shared network. If you connect to the internet through your internet service provider, the ISP assigns your computer a unique IP address and sends you on your merry way through their network, connecting you to the rest of the web. Monitoring your activity is a very simple matter for both the ISP and any governments or government organizations that have access to the ISP’s data. Virtual private networks, however, create a secure tunnel between you and a private server. You connect online through your ISP as usual, but you then connect securely and directly to a specific server. The secure tunnel created by a VPN means a direct connection is created between you and the websites you’re trying to access. Hackers, governments and even your own ISP can’t peer in on what you’re doing. The increased ping should not increase users too much, in so far as a high ping does not always equate to slower download speeds. However, higher ping can also be an indication of a rather packed server, something that is often the case with more popular VPN services and free VPN services in particular. Usually VPN services get around this by increasing the number of servers they offer. 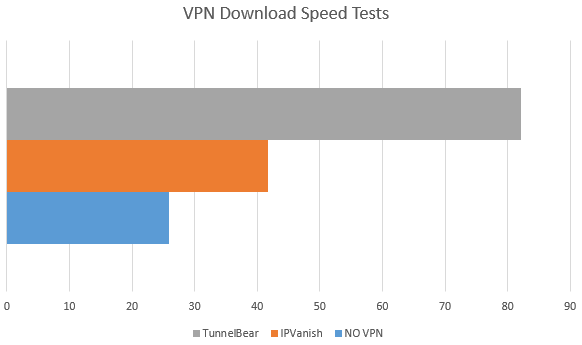 As evidenced by the results, downloading without a VPN posts the best speeds, while VPNs significantly impact download speeds. As is common, the paid VPN service was faster than the free service. For more information on VPN speeds check out our article on the fastest VPN services and on why measuring VPN speed is not straight forward. VPNs are also limited by the security measures implemented by the hosting VPN company. Most paid VPN services ramp up their security efforts, offering all forms of high-level encryption as well as maintaining strict log-free policies in most cases. Of course, many users are hesitant to cough up money for a VPN service when there are countless VPN services available online for free. There’s a good reason why many users decide it’s better to pay for a VPN service than to go with a free one. Free VPNs often cap data or bandwidth, log your activity, and/or inject advertisements into your web browser. Not only do free services have fewer resources to pour into bandwidth and servers, many are lacking on security features. Free VPNs are often ad-driven, displaying ads in their own apps, injecting ads into your browser, or both. As many of us may know by now, advertisements can be used by hackers (called “malvertising”) to infect computers with viruses and malware of various sorts. Ad-driven VPNs are hardly secure. Indeed, this is a problem we addressed earlier in our brief discussion of HTTPS. While you may be able to connect securely to a website and transfer data back and forth without anyone stealing or snooping on it, if someone has access to the server you’re connecting to all of that security is effectively meaningless. Because SOCKS5 proxy servers use an SSH (secure socket shell) protocol, they can only be accessed through verification. Not just anyone can connect, and someone trying to gain access improperly has a large amount of encryption to deal with. This is why SOCKS5 proxies are more popularly used for web activities that don’t involve connecting to different websites where your data may be easily obtained. Outside of less encryption, proxy servers also often log activity. This means that anyone who can get access to those logs can find out both who you are and what you were doing while routing data through the proxy. Additionally, proxy servers that have been hacked are more likely to push malware and viruses onto your machine. As you might expect, there are clear benefits to using SOCKS5 proxies over VPNs, and vice versa. If your entire goal is to torrent or utilize a P2P service with the fastest speed, your best option may be to use a SOCKS5 proxy. However, the faster speed will come at the cost of significantly less privacy, at the risk of drawing attention to yourself from your VPN. However, if your goal is to torrent with the maximum amount of encryption and privacy, go with a VPN. The speed will be noticeably slower, but with the right VPN service, the damage can be lessened a bit (see our article on the best VPNs for torrenting for more details). Additionally, SOCKS5 proxies only connect select applications to the web, so it’s important to remember that all of your computer’s internet-related activities are not hidden while connected to a SOCKS5 proxy. If your goal is to do a large amount of web surfing, getting past firewalls or simply protecting your entire online presence regardless the online activity, you’re better off using a VPN. The bandwidth will be worse, but not unbearably so if you utilize a higher-quality paid service like those from IPVanish and NordVPN. Both services, in fact, have both SOCKS5 proxies and VPN servers. For a better idea on the additional benefits provided by VPN services, you can check our reviews of IPVanish, NordVPN and Private Internet Access. *Torrenting while connected to a proxy is not wholly anonymous. Your ISP may still be able to see that you’re uploading and downloading large amounts of data. 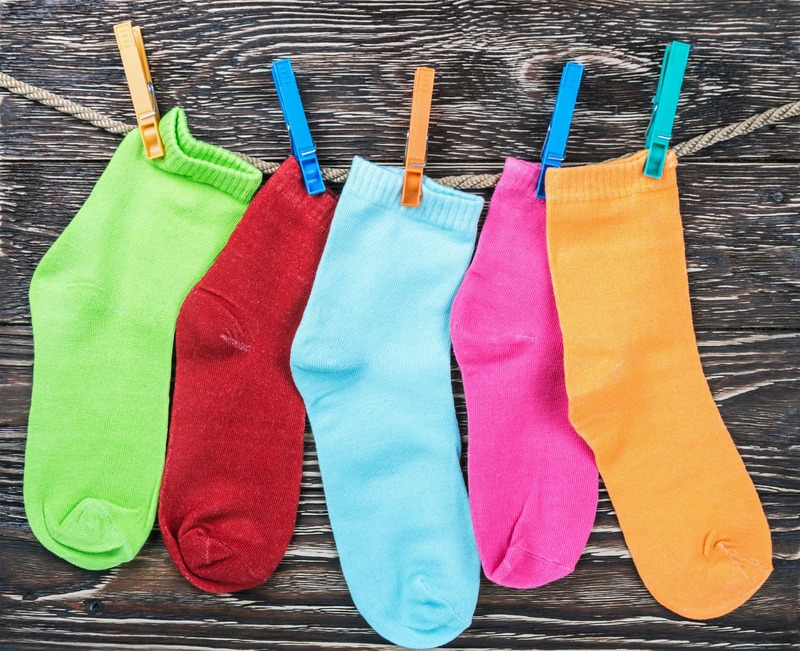 The primary benefit to using a SOCKS5 proxy for P2P is the better upload and download speed, as well the fact that monitoring organizations cannot connect the the newly assigned IP address back to you. This results in more privacy than complete anonymity.